Increasing ethanol production has been the major challenge for producers. Doing it, during the offseason, makes the task even more difficult. To do this, companies invest in research to find a technology that allows this process. In the coming days, Ceres Seeds of Brazil begins distributing eight hybrids, plus a variety of sweet sorghum from Embrapa. 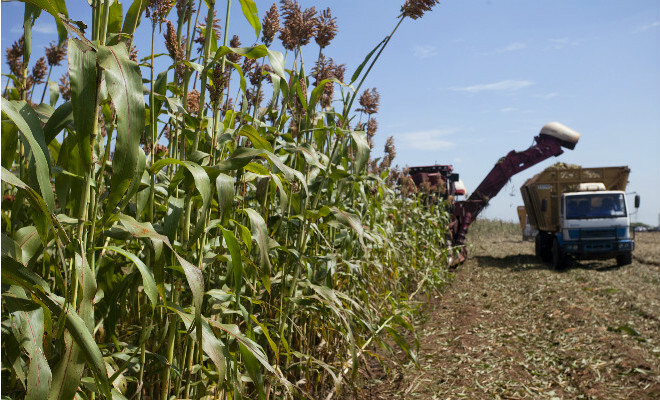 The company wants to increase the supply of seeds available for Brazilian mills that produce ethanol from sweet sorghum in the offseason of cane . According to the manager of sales and marketing company, Antonio Kaupert, the new portfolio includes six new hybrid full-cycle and two-cycle early. Producing ethanol from sweet sorghum plants in the offseason does not require investment in new machinery and equipment, as those used in the cane are largely the same. The known logistical operation involving the cane from harvesting the crop to the processing industry is also exactly the same for sweet sorghum. “The current offer for the biofuel does not meet consumer demand in Brazil and should remain low in the coming years, according to market projections,” explains Kaupert.